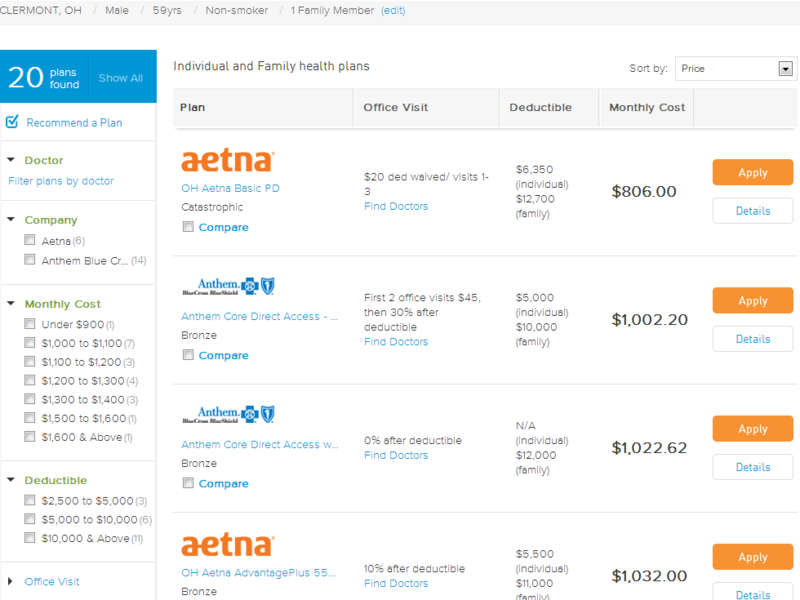 So I went to www.ehealthinsurance.com and looked up the rates for 2014. Here is what I found. The 2nd lowest silver plan for 2014 is going to be a lot more expensive than $4,750. 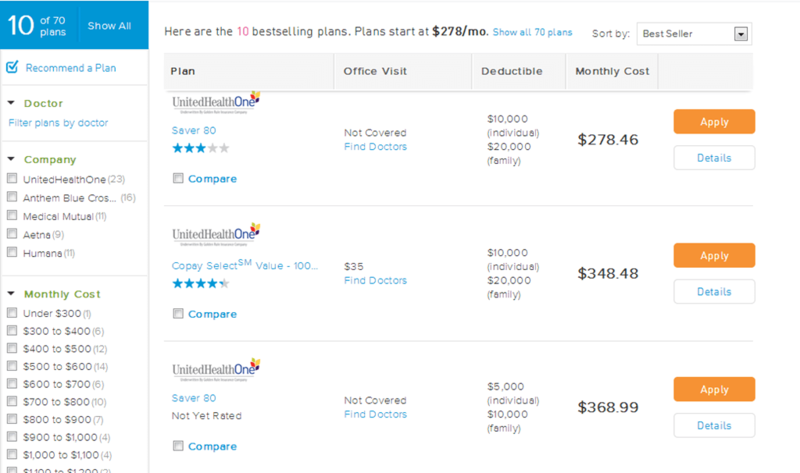 The $4,750 may be the 2nd lowest plan for 2013 but based on the numbers below I suspect the annual premium for the 2nd lowest silver plan in 2014 is probably pretty close to $13,198. I wonder where they are getting their numbers. For kicks the screen image below is the 2013 health insurance offerings using the same demographic data. Oh my! I expected the young to get screwed but I was hoping a couple of healthy 59 year-olders would get a little grace. It is not surprising that health insurance has become costlier but I was hoping for unsubsidized prices starting at my tipping point, $500 per month. Anything over $500 a month comes out of my pocket. Hopefully my grandfathered plan increase 2014 is closer to the tipping point. If I was surprised with the 2014 plan costs and subsidies, I wonder what the 2014 ACA budget expected. What has been surprising is the turmoil with non-subsidy people getting squeezed into lower values plans that cost a lot more. How about the situation where employees will ask their bosses to not give them a raise since it will cause them to lose their subsidy and end up costing them more money? If you find unintended consequences as raw material for commedians, then the Affordable Care Act is the gift that keeps on giving. From a health care market standpoint it is fascinating so see that the companies participating in the Ohio market dropped from 5 to 2 and the number of plans dropped from 70 to 20. The Affordable Care Act modeled itself after the highest cost, least competitive health insurance market in the country. I think they succeeded. With this type of leadership and vision, I cannot wait to see them try to bend the cost curve for this entitlement system.